The consumer market demands an improved surface quality of pressed glass articles. WALTEC meets this demand through consistent utilisation of the latest gas/oxygen burner systems on product-specific designed machines. The article transport can be exactly synchronised with the servo-drive technology and tracking burner system. As shown in the diagrams,WALTEC uses lengths-optimised burners. Compared to the operation with uninterrupted standard burners, energy savings up to 50% are possible.WALTEC is able to offer always the right fire polishing machine for quality improvement, regardless of whether it is for round, rectangular, oval or standard glass articles. for round articles and articles with handle. For high speed solutions and especially for articles with handle. 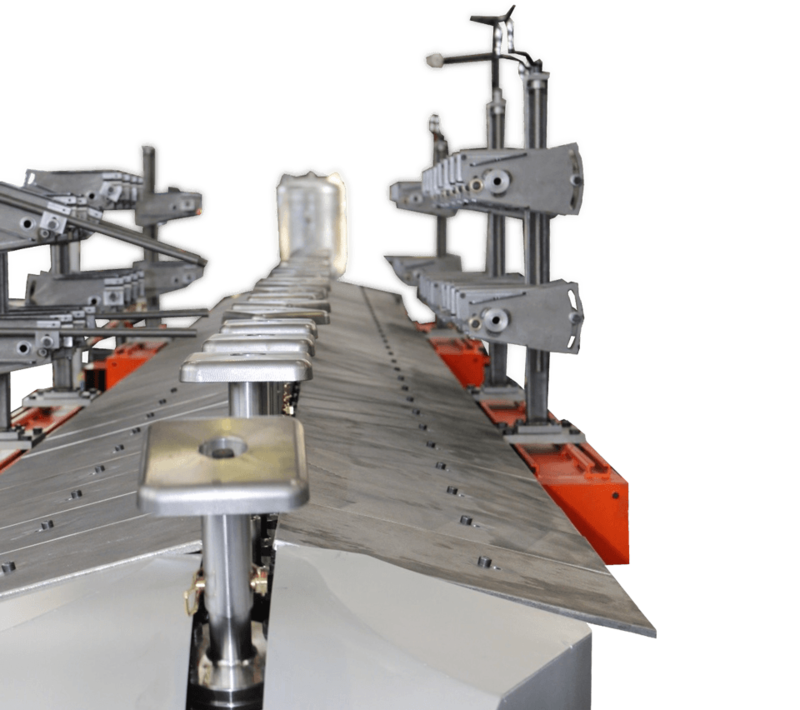 In case of a handle-production, the spindles in the first part of the machine are fixed and the tracking burner polishes the parting line of the split moulds.  The body and the other parting lines are done during the rotation of the spindles in the second part of the fire polisher. That guaranties the highest quality and the longest life time of the moulds. for round, square, rectangular and oval articles. 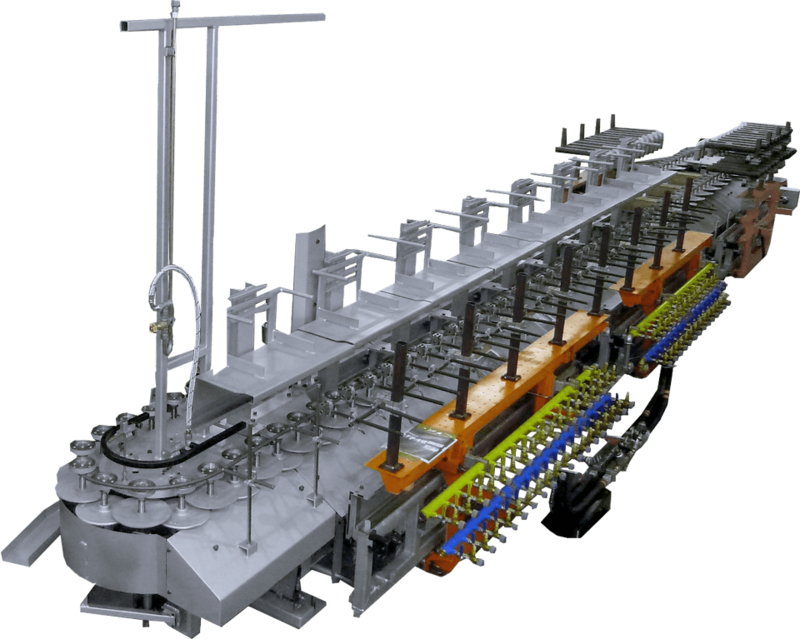 As shown in the diagram, with the two individually driven slides, this fire polisher is predestined for the polishing of washing machine windows, casseroles, food containers and other not round products. All movements like the main chain, the slide movement, and the rotation of the spindle are servo driven and freely adjustable. The 90° rotation is done via a strong mechanical cam. 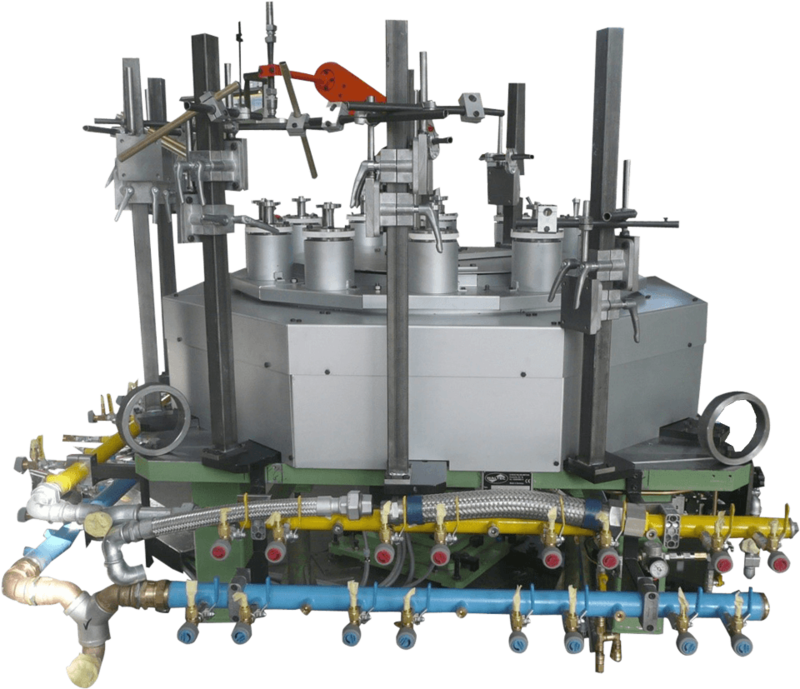 This fire polishing machine for round articles and articles with handle is simply engineered and works in start-stop operation. The rotation of the main drive as well as the spindle rotation is servo driven. Due to the conception, the speed is limited.